A fully integrated switching mode power supply that combines high power density, low ripple, with high efficiency and reliability is being introduced by Diversified Technologies, Inc. (DTI) of Bedford, Massachusetts. The DTI High Voltage Switching Mode DC Power Supply features all solid-state construction and offers 1 to 50 kW adjustable power at levels from 100 to 240 kW with > 0.02% regulation and 1.5 x 10-3 % peak-to-peak ripple. Providing 96.9% efficiency and N+1 reliability, it is packaged in a single 24” W x 36” D x 74” H cabinet, eliminating the need for multiple smaller units and achieving the same output in a small footprint. 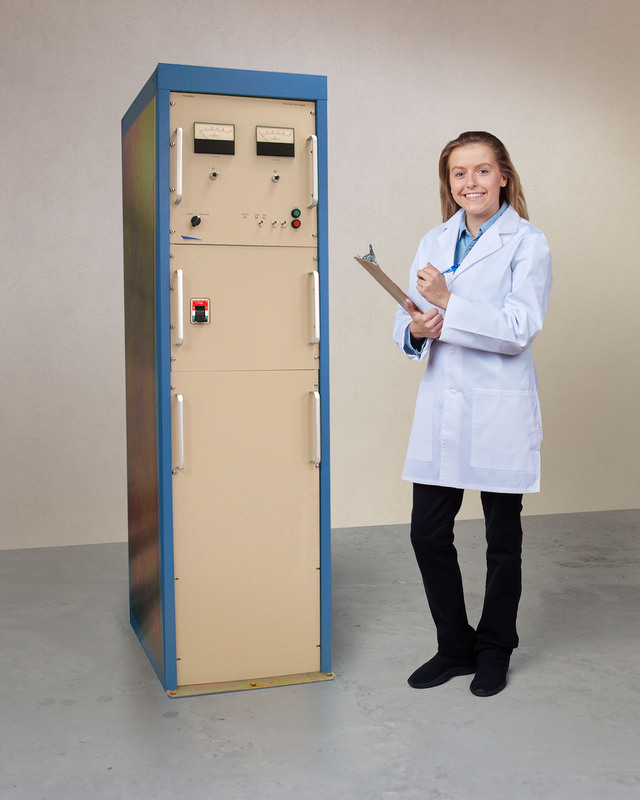 Suitable for use with RF accelerators, E-beam systems, radar, plasma processes, and other high voltage industrial applications, the DTI High Voltage Switching Mode DC Power Supply uses tap water for cooling and can be located at the point-of-load. This compact and efficient unit offers full over-voltage and over-current protection, ± 0.1% ripple, and has a demonstrated MTBF of over 90,000 hours. The DTI High Voltage Switching Mode DC Power Supply is priced from (US) $180,000.00. Price quotations are available on request.